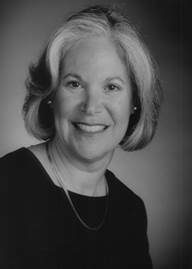 Susan A. Ehrlich, J.D., LL.M. Susan A. Ehrlich is a graduate of Wellesley College (B.A.) and Arizona State University College of Law (J.D., LL.M. – biotechnology and genomics). She clerked for the Chief Justice of Arizona before joining the United States Department of Justice Civil Division Appellate Section in Washington. She returned home to Arizona to become an Assistant U.S. Attorney and the first Chief of the Appellate Section in the Office of the United States Attorney for the District of Arizona, and she subsequently was appointed a judge on the Arizona Court of Appeals, serving almost 19 years before her retirement. She serves on the Institutional Review Board of Phoenix Children’s Hospital and the Central IRB of the U.S. Department of Energy as well as being involved in a number of community activities in Phoenix.